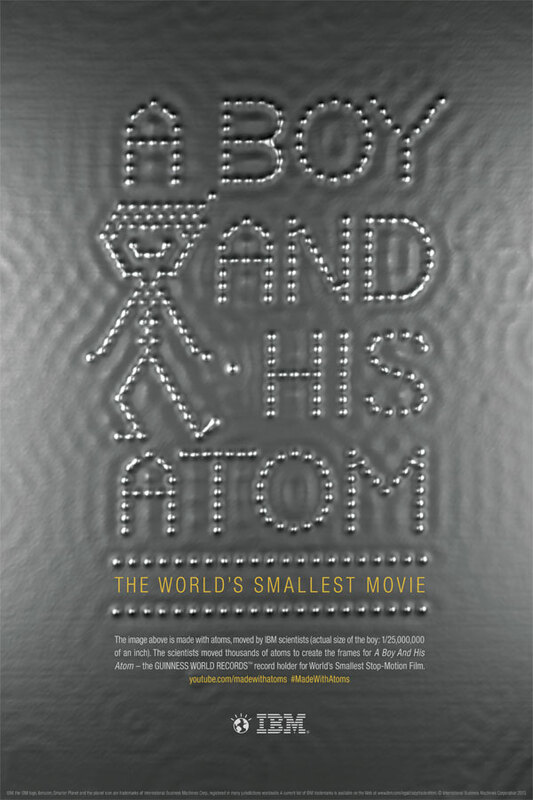 Just yesterday IBM with their smallest movie entitled “A Boy and His Atom” took the Guinness World Records title of The World’s Smallest Stop-Motion Film. If you are wondering of how small this movie is, we are talking about atomic-scale small. IBM managed to create the smallest movie using the IBM-invented scanning tunneling microscope or STM. This one of a kind microscope weighs two tons and operates at negative 268 degrees Centigrade. What it does is it magnifies the atomic surface 100 million times more. They also used the microscope to control a needle along a copper surface to attract atoms and molecules on the surface, making it possible to move the atoms on a specific location. What is more amazing is that the moving atom makes this unique sound that helps the scientists to determine how many positions did the atom moved. The whole film is made up of 242 rendered still images of individually arranged atoms. Of course IBM did not just made this amazing movie to show-off but they did this to explore the limits of storage and filming as well. The smallest movie starts with only a 12 atoms to celebrate the breakthrough of successfully using 12 atoms to store one bit of data. In our current technology we are using 1 million atoms to store one bit of data by IBM managed to size it down into a whooping 12 atoms. Not only did IBM manage to break boundaries and showcase their innovation, they also would like to inspire and influence specially the young generation to go and take up science for a better future.